A non-violent approach? How dare you! Yesterday (click here), the Palestine Liberation Organization (PLO), led by Mahmoud Abbas (Chairman of the PLO and President of the Palestinian Authority), submitted a resolution to the United Nations’ General Assembly for the promotion of Palestine to a non-member, “enhanced observer” status at the UN. A decision is expected on Thursday, 29 Nov. 2012. You may remember that, in Fall 2011, the Palestinian Authority applied for full-member status (based on pre-June 1967 borders) with the UN. In Nov. 2011, the Security Council (under pressure from such players as the United States) did not achieve a unanimous response (click here and here) and the process stalled. Thursday, Nov. 29th, the Palestinians will take their bid for statehood to the UN General Assembly, after it was blocked last year by the US in the Security Council. It will likely pass, and if it does, the Palestinians will have important new tools to use in pursuit of their self-determination and human rights. A few important states* are wavering, and you can make a difference. First, click here to send an email to your MP expressing your support for Palestine’s bid. Then forward this email to a friend. 1. If you did not do so above, participate in our action alert to Canadian political leaders. Click here to send your email now. 2. Send a hard-copy letter to your MP. Please click here to open a letter in an editable PDF format to send to your Member of Parliament. Click here to find out who’s your MP. 3. Participate in Avaaz’s action alert to the leaders of European nations. Strong support from Europe will be important in Palestine’s quest. Click here to watch an excellent video prepared by Avaaz on the Palestine issue, called “Middle East Peace – The real story”. Then click here to send your email. 4. Meet your MP. Walk them through our FAQ document on Palestinian statehood as well as our talking points. To find the contact information for your MP, please click here. 5.Sign up to CJPME’s Media Centre, and participate in our media alert network. We are closely monitoring the media during this period, and additional participants can help out greatly. Click here to watch an overview video. Click here to sign up as a media responder. Together, let’s make Canada the champion of human rights that it should be. Thanks for your support to the rights of the Palestinian people! Is the ceasefire holding? Some say that it is (click here), despite at least two shooting incidents (here). Much discussion is underway regarding: (a) who has benefited from this recent aggression (here) and (b) the longevity of this ceasefire and the persistence of non-violent resistance to the Israeli-Palestinian conflict (here and here; this interview is part of Harry Fear’s coverage from Gaza). What saddens me is what appears to be happening now that the world media is turning the public’s attention to other news items. The Israeli government continues with indirect structural violence in the occupied West Bank and East Jerusalem and a new wave of arrests and administrative detentions of Palestinians – without charge or trial (click here). CJPME released this statement (here) that asks Canadian Members of Parliament (MP) to end a silence that many of them have held…for too long. Please write to your MP. A ceasefire between the Israeli government and Hamas has been announced. See the full text here and a Reuters article here. Imagine a different type of resistance – moving away from competition toward a shared effort of planning together for a shared future… Other Voice (here) is doing just that. Click here for their petition (or if you do not have a Facebook account, click here). In early 2011, I met Roni Keidar, a member of Other Voice who lives near the Gaza border. I also met Eric Yellin, a member of Other Voice, and the originator of the petition. See their photo at this posting (here). “One of Israel’s tremendous propaganda victories is that it has been accepted as a victim of the Palestinians, both in the view of the Israeli public and that of Western leaders who hasten to speak of Israel’s right to defend itself. The propaganda is so effective that only the Palestinian rockets at the south of Israel, and now at Tel Aviv, are counted in the round of hostilities. The rockets, or damage to the holiest of holies – a military jeep – are always seen as a starting point, and together with the terrifying siren, as if taken from a World War II movie, build the meta-narrative of the victim entitled to defend itself. “Resistance is called a provocation, terrorism or a crime against humanity. The rule of law, as well as respect for the most basic civil liberties and the right of self-determination, is a public relations fiction used to placate the consciences of those who live in the zones of privilege.” See the full article, “Elites Will Make Gazans of Us All”, by Chris Hedges (here). It’s happening globally, including here at home, in Canada. See The Huffington Post article, “Harper Calls Mulcair An Extremist Over Threats to Rip Up China Investment Treaty” (here). See this reference (here) to Canada and to Will Potter’s tour and new book, Green is the New Red (here). Further to what is happening in Israel, see this article, “In Gaza Airstrikes, an Appeal to Netanyahu’s Hardliners” (here). 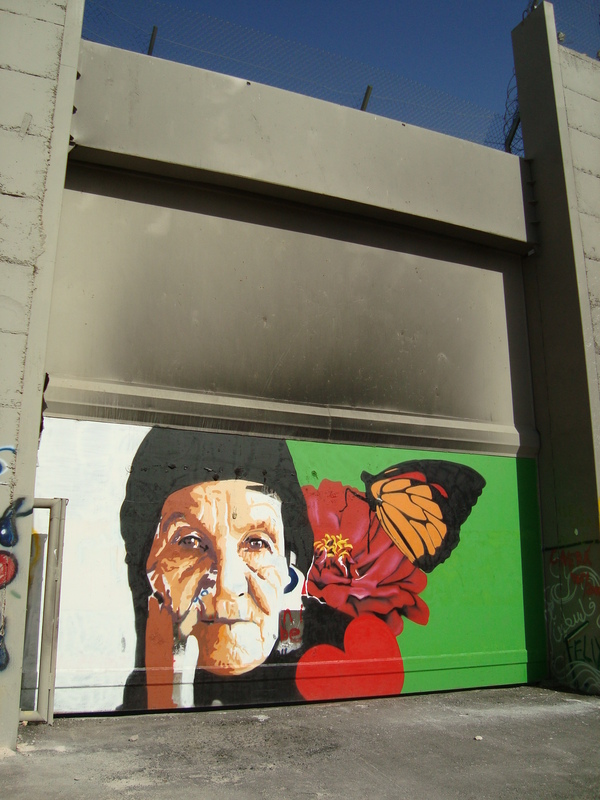 Also, see: “My Visit to Gaza, the World’s Largest Open-Air Prison” by Noam Chomsky (here). What about women’s voices in this mix?? We can stand up and keep showing up, just like women citizen activists in Israel and Palestine. 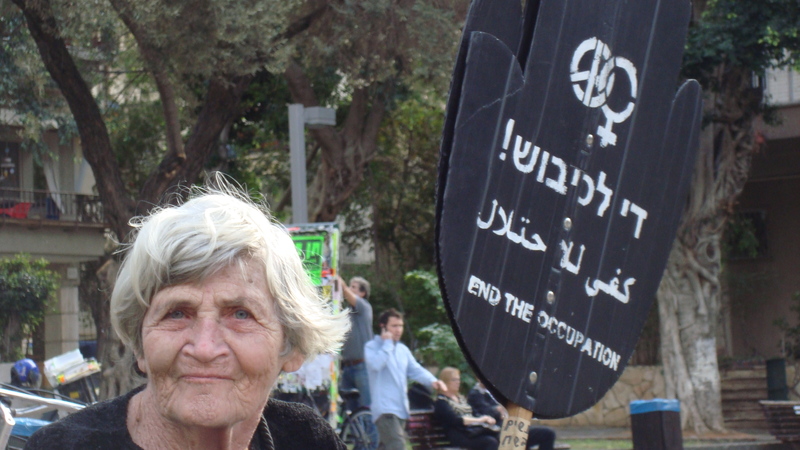 I invite you to visit this website for an introduction to the project, “Sixty Years, Sixty Voices: Israeli and Palestinian Women” (here). Edmontonian Paula Kirman speaks as a member of Independent Jewish Voices (17 Nov. 2012) – See the video here. Action: Consider choosing not to purchase products made in illegal Israeli settlements in occupied Palestinian territories. This information has been prepared by the Interfaith Peace Initiative using information from WhoProfits.org (click here and here). Action: If writing to the media, see this helpful webpage from the Canadian Friends of Sabeel (here). “[The UNJPPI] stands in solidarity with the people of Gaza who are facing an overwhelming military attack by Israel. The Israeli rockets and bombing in Gaza, while claiming to be strategically directed to military targets in Gaza, are killing many civilians as well as destroying essential non-military infrastructure. The tragic loss of lives of children is particularly heart-wrenching. The support of the US and other western powers, including Canada, for Israel’s action puts the onus unfairly on Hamas and the Palestinians for ending the violence. The Palestinian people have been living under the oppressive Israeli occupation of their lands since 1967. We believe that the Israeli occupation of Palestinian Land is the major contributor to the injustice that underlies the violence that has erupted in this conflict and that an end to the occupation is necessary for peace. the violence that is resulting in the tragic loss of civilian lives, including children and women. working in non-violent ways for a just peace even in this critical moment. May God’s Spirit of peace be over all. With the attack on Gaza and the responses, in light of a lack of good mainstream media coverage, we have complied selective on-line resources in the hopes of providing an honest picture and thoughtful analysis. These items below seem to offer perspective on the current situation. This is an excellent piece and a must read! The Petraeus Saga: Epitaph for a Four Star by Col. Douglas Macgregor, Ret.